My family and I are way overdue for a break; a year has passed with no respite from the daily grind. With unbridled anticipation, we load our suitcases into the car and head to the picturesque Garden Route. 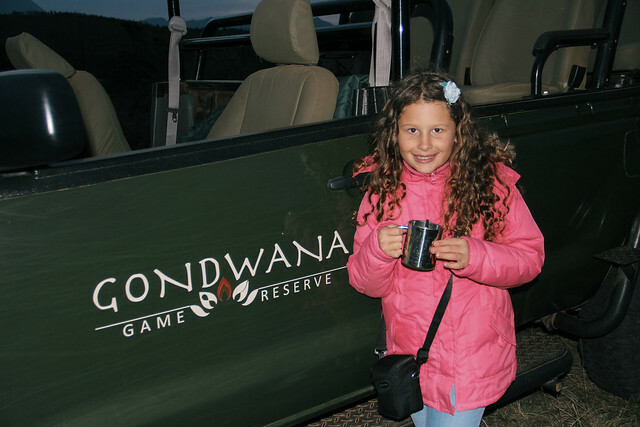 Our destination: Gondwana Game Reserve in Mossel Bay. The four hour drive from Cape Town passes quickly when faced with the beautiful scenery of the countryside. Famished, we arrive just in time for lunch. We opt for the chicken with salad while our daughter devours her pizza, completing her meal with some delicious vanilla ice cream. 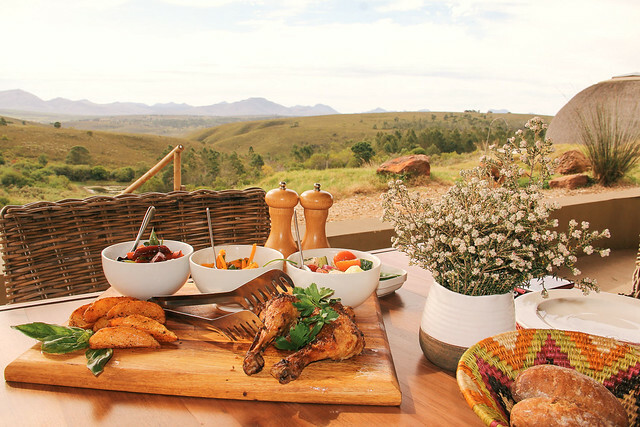 The food choices at Gondwana seem to appeal to most tastes, with a three-course meal for lunch and supper. Breakfast is served buffet-style, with variations of cereal, continental and hot breakfast. After lunch, we are escorted to our Villa by ranger Lüzaan Claassen, who expertly looks after us for the next few days. My eyes widen when we approach our home-away-from-home for the next two nights. The three-bedroom Villa appears almost palatial in size. I open the front door and take in my surroundings; the lounge and kitchen area blend seamlessly into one and I imagine entertaining guests while a fire roars in the background. The views from the veranda are awe-inspiring and from the upstairs balcony you can see animals grazing in the distance; they sometimes feed right on your doorstep. I enter my room and this time my jaw drops: the four-poster bed with its crisp white linen looks so inviting I want to take a rest right there and then. 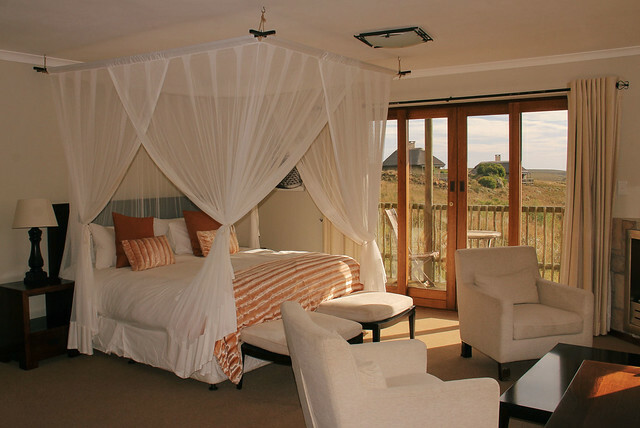 The draped mosquito net is reminiscent of romance with a bushveld twist while the earthy tones of the bathroom offset the white sanitary ware perfectly. 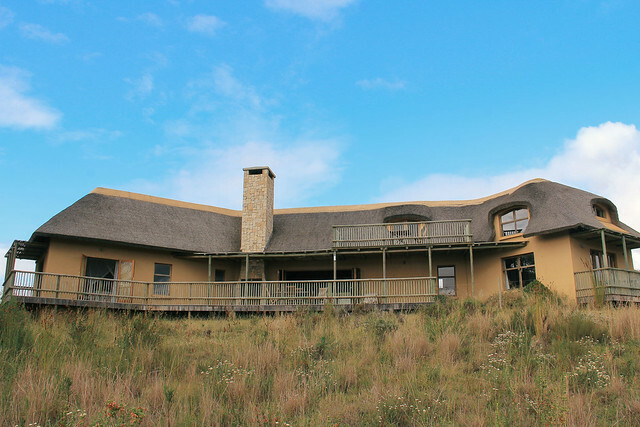 The double-volume Villas are situated in the veld and are found in small clusters just far enough from your neighbours not to be disturbed by them. 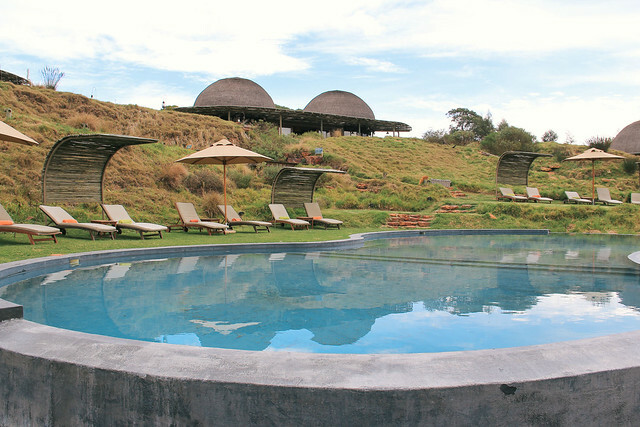 The accommodation choices are plentiful; you can stay at Kwena Lodge, perfect for two people and within walking distance of the restaurant, pool and bar area as well as the spa. If you are lucky, you can spot an animal quenching its thirst at one of the two watering holes at Kwena Lodge. The Villas are more family-oriented and vary in size – the largest has four bedrooms. If you have money to spare, you can even own a home here. Afternoon tea is served at 15:30, a light snack comprising of pastries, tea or coffee. Lüzaan rounds us up for our first late afternoon / evening game drive. Excitement sets in as the promise of encountering some of the Big 5 becomes a reality. Lüzaan skilfully manoeuvres the Land Rover over rough terrain of the 11 000 hectare reserve. Driving through the reserve, you notice the myriad of fauna, flora and fynbos. Our first sighting is of a lone impala grazing on his own. He got kicked out of the herd by a dominant male. 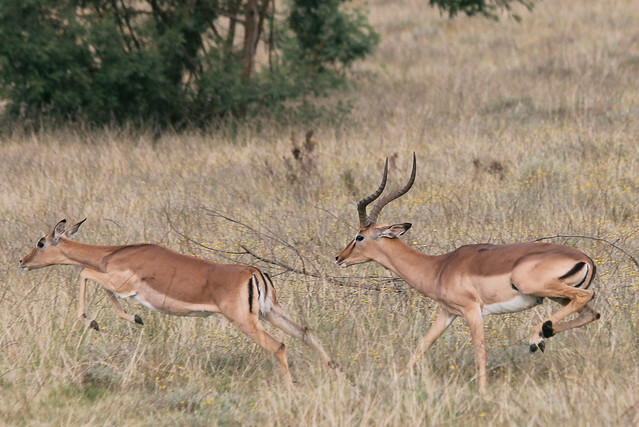 Mr Impala casually strolls over to a herd of females and much to his chagrin, gets chased away again. 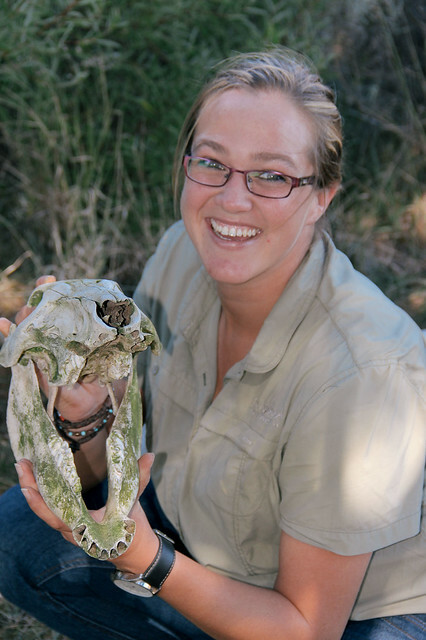 We stop by a dam where the hippos lay submerged, popping up for a couple of seconds just to disappear again. What we observe next is the most incredible sighting I have ever witnessed; it had everybody going ‘wow’ while reaching for their cameras. In the distance, there are two white rhinos mating. As we get closer, the male doesn’t seem too perturbed by the audience looking on at his glorious attempt at increasing the rhino population. That might have to do with the fact that rhinos’ eye sight is rather pitiful, but the same cannot be said for their hearing and sense of smell. 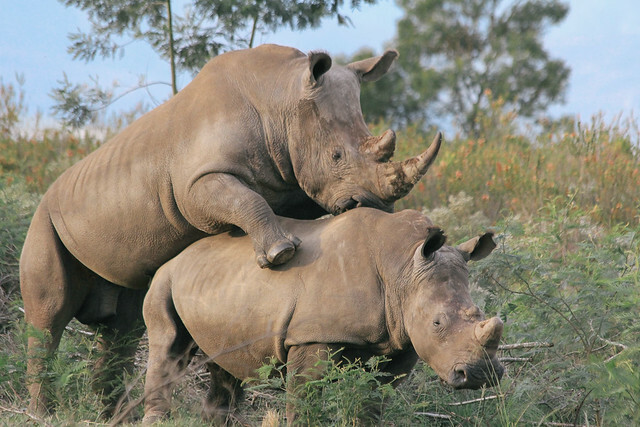 They carry on grazing and the male nuzzles the female in a not-so-subtle way, almost impaling her with his horn. Will they give it another go? We wait a while and as luck would have it, he tries to mate with her again, but is unsuccessful the second time around. He dismounts, gives a loud snort and walks away. Go boy! Make some more rhinos! 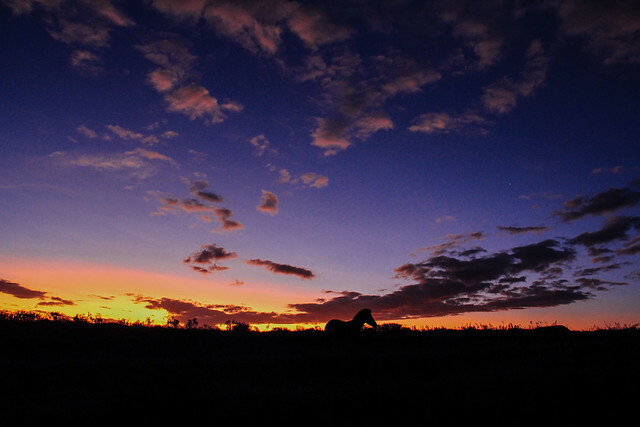 We stop for sundowners and are flabbergasted by the colours of pink and grey that engulf the undulating landscape. We head into the area where the lions were last seen. The sun has set and Lüzaan shines the searchlight, looking for the glistening of eyes. Then we spot her, the lioness casually strolling past in front of the vehicle, followed by her juvenile cubs. The male waits a while before he follows them. My family and I enjoy the privilege of being in the company of these majestic creatures, but some of our fellow guests think a predator so near is too close for comfort. The lions disappear into the thicket and we find the male sitting on his own while the lioness goes hunting. Dinner is served in the main restaurant where the warmth of the fire wards off the nip in the air. We return to our Villa, eager for what else we will find the next morning. This morning, Lüzaan takes us to the other side of the reserve to look what we can find. It is drizzling and the wind chill factor sees everybody wearing layers of clothing, beanies and ponchos. We turn the corner and are met with the majestic sight of giraffe feeding on acacias. 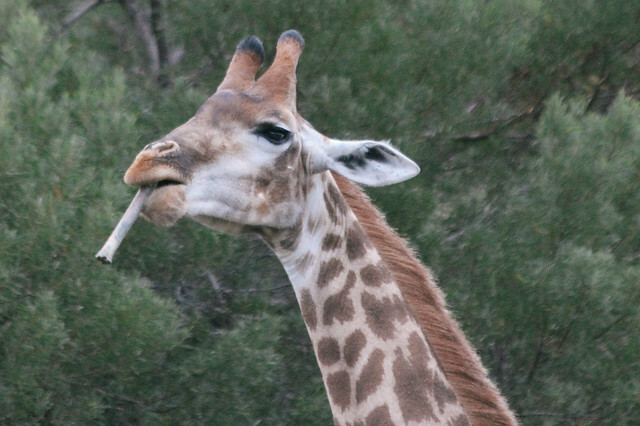 The male giraffe is eating a bone, an important part of their calcium intake. We scan the plains in search of the elephants. They are difficult to see as they blend in with the escarpment. We see fresh dung and realise they can’t be too far. 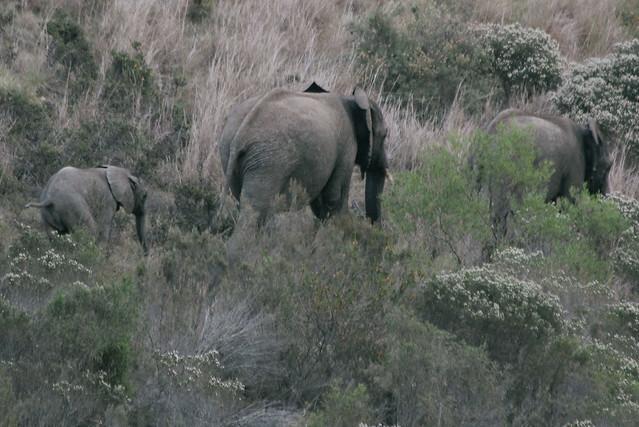 Then we spot them, climbing up the ridge walking around the hill to feed on the greenery. The cutest in the herd is the two-month old calf who keeps close to the older calves – I think it’s a case of safety in numbers. No, it’s not a cigarette, it’s a bone! end of the programme, the kids are given a goody bag, a Junior Ranger certificate, a badge and a money box. 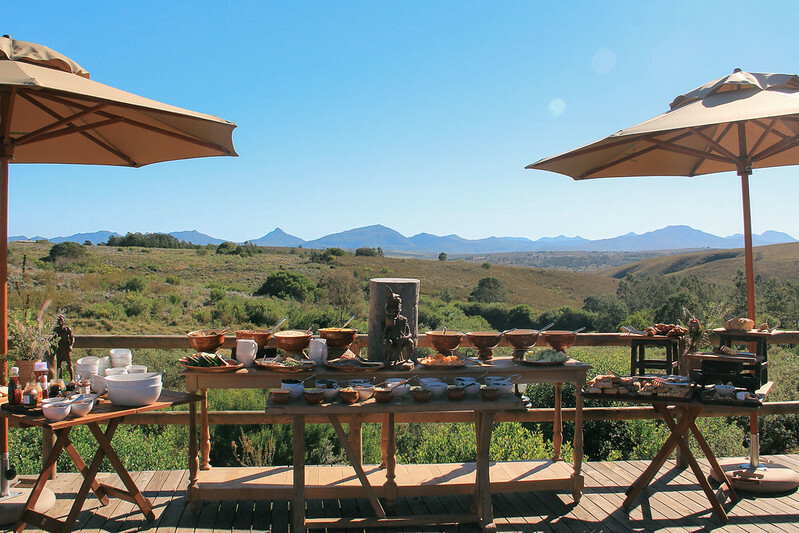 With lunch and afternoon tea a thing of the past, we embark on our game drive. A lone Springbok is grazing and we witness a Black-headed Heron eating a small snake. We head to where we saw the lions the previous day and they are there, lazing in the sunlight. The cub is trying to perfect the art of yawning and does so five times in a row, much to everyone delight and amusement. 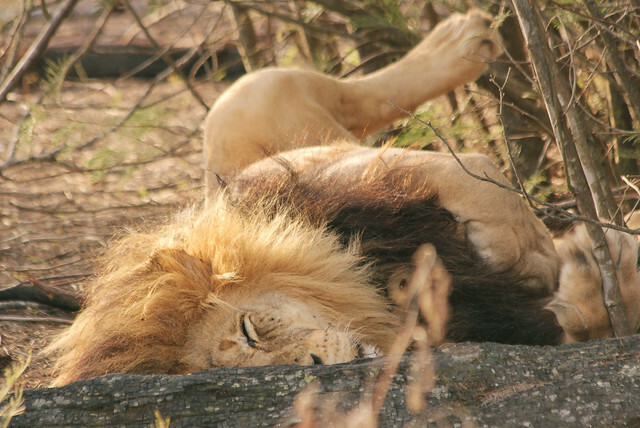 The male is lying flat on his back, sleeping. We pass some zebras grazing on the long grass and visit the disease-free buffalo, who are very shy. Another glorious sunset with shades of orange ends a perfect day of game viewing. Driving back, the full moon illuminates the night sky. We look up at the stars and see Orion, the Southern Cross, Leo and Scorpio. On our last day, the sun makes an appearance, making everything nice and toasty. The Eland are grazing right next to the road and one of them even ‘poses’ for some photographs. The zebra are all bundled together and then the most adorable thing makes its appearance – a two-day old zebra. 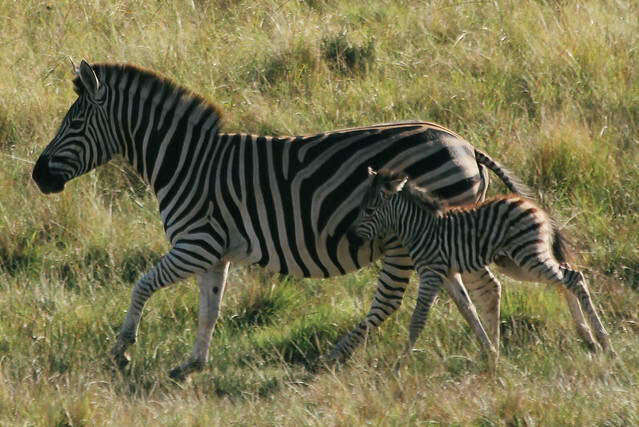 It is interesting to discover that a newborn zebra foal’s legs are as long as that of a full-grown adult. When baby stays close to mom, the camouflage is so ingenious that you can only see legs. Those little foals literally have to grow into their body. 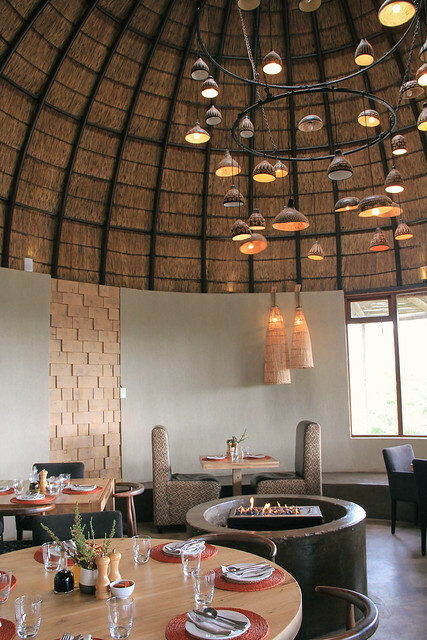 Back at the main lodge, we indulge in our parting meal – breakfast with a view in the Boma area. It is time to pack up and return home after a blissful and relaxing long weekend away. Thank you to Nicky Arthur PR and to Gondwana Game Reserve for hosting us. The views expressed are the author’s own.